Rafael Ceballos is a pioneer and benchmark company in the sector of construction and ceramics. Inaugurated in Granada in 1965, is one of the most important companies in the ceramic sector in the province of Granada. In turn, it is considered one of the five best companies in Andalusia. 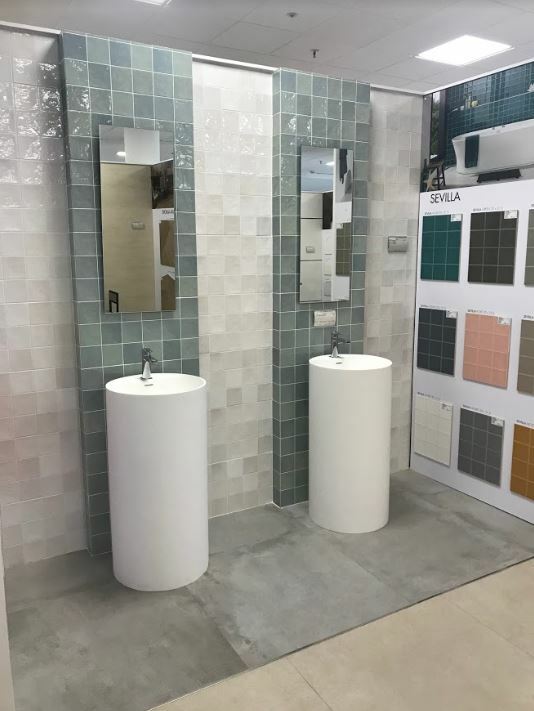 Ceballos is characterized by offering a wide variety of products among which we find various bathroom equipment products of our company, Sanycces. The Company has two product exhibition plants. In particular, more than 3000 meters of exhibition surface. Its facilities are well organized and continuously renewed. This is why it is defined by its great diversity of bath products and by offering the most innovative trends. Rafael Ceballos is composed of a highly qualified team. All of the professionals have as their main objective to advise each one of their customers to provide them with the products that best suit their needs. With Regard to its range of products, the company sells different Sanycces Bath accessories. From bathtubs, shower trays and screens to shower trays. Baths: Free and hydro-massage baths. Washbasins: Solid Sanycces washbasins, ceramic washbasins in mate and brightness. Shower enclosures: Single Family Shower Screens, Manhattan and New Lisbon. Showers: Nile and Indo Nera shower set. Rafael Ceballos, a leading company that collaborates with our company to offer quality products every day adapted to the needs of the client. At Sanycces, we always look for your wellbeing! Sanycces is a family business which was born in 1993 close to the shores of the Mediterranean, focused on bath equipment.